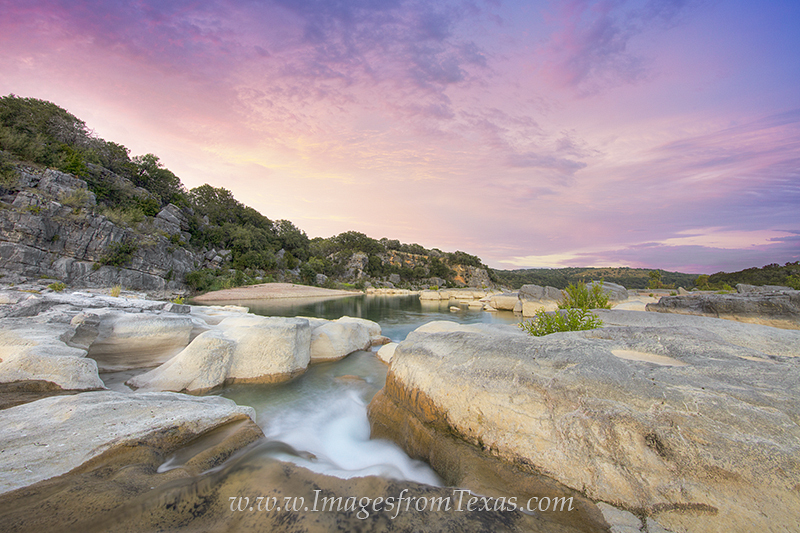 Pinks and blue pastels light up the sky over the Pedernales River in the Texas Hill Country. In this small canyon, the waters gently flow over the limestone rock and make a great place for exploring. Photo © copyright by Rob Greebon.